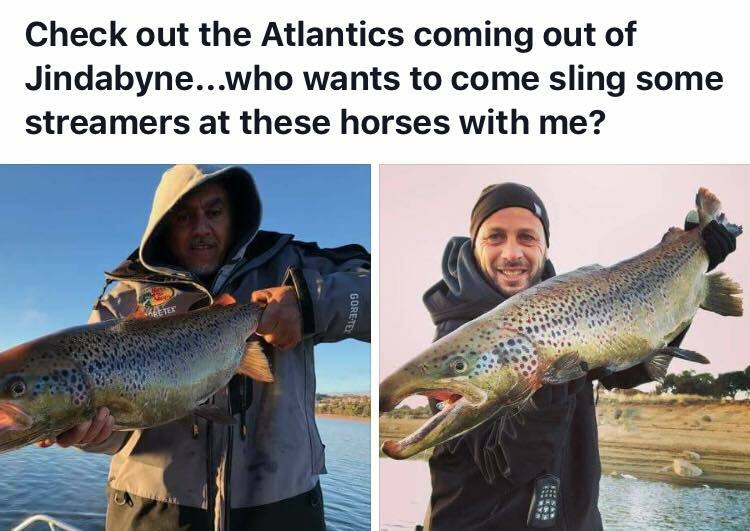 After plummeting to 34% Lake Eucumbene has finally began to settle,flat line trolling,spinning from a drifting boat or casting the ever reliable Tassie devils in colours 44,96 and 117 aswell as the bullet hard body being very productive.Srub worms fished on edges and around structure on the bottom or floated being the pick of the baits for the Browns while powerbait accounting for the Rainbows.Seven gates,Braemar and what youd call Providence flats just keep on producing for us fly fishos with large profiled wets such as Buggers,Mrs simpsons and matukas,whilst Tiahape ticklers and Craigs are your after dark specialists. 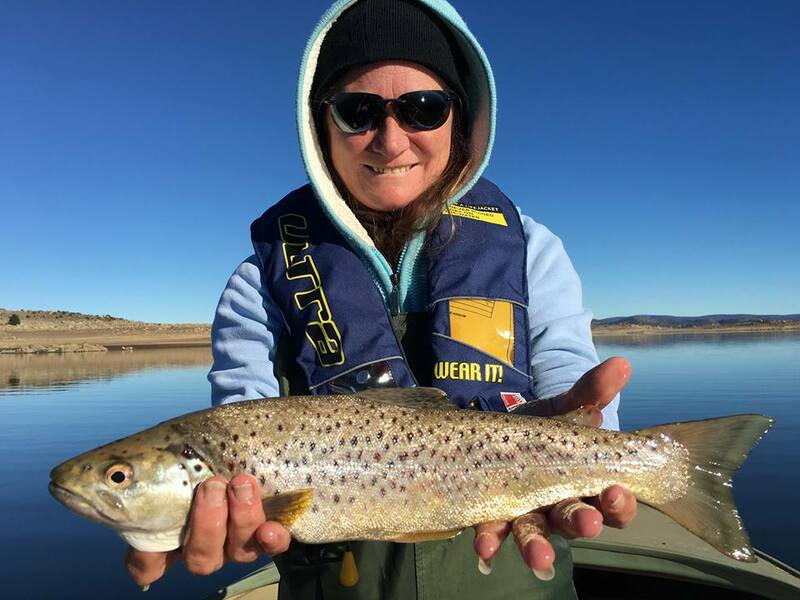 Lake Jindabyne is on the drop,but dont be deterred,fish are active and in great condition, the same methods as Euc are the way to go.When Jindy approaches mid 60% it exposes a lot of structure and is really fun to polaroid or search with fly lure and bait. Tantangara has benefitted in steady levels now for a couple of weeks and is most likely about to rise into the grass with on coming rains and snow melt in the near future .Tangy's fish are in terrific condition and size.Reports of flat line trolling,spinning and bait fishing have been fantastic which doesnt surprise as its been a very reliable fishery all year.Tassie devils in 117,50 and S05 aswell as Nomura and Bullet hardbodies in spotted dog and naturals being anglers preferred choices.Fly fishing at Tangy is always a pleasure and rarely lets you down.Polaroiding the lakes steady edges has been a highlight and the longer it stays at a consistent level or rises into the grass it will only get even better.Placing your nymph well ahead of a sighted cruiser and giving a tiny twitch as the fish approaches the area making for some exciting takes and hook ups. 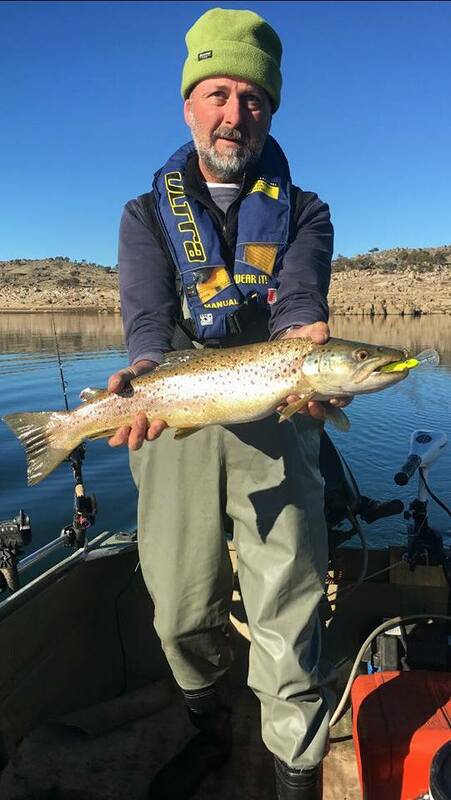 Eucumbene river is low and clear,making for challenging fishing,so a slow and stealthy approach is necessary,12 ft leaders and glo bug/nymph combos must be tickling the bottom of deeper glides,runs,clutches and resting pools for success. 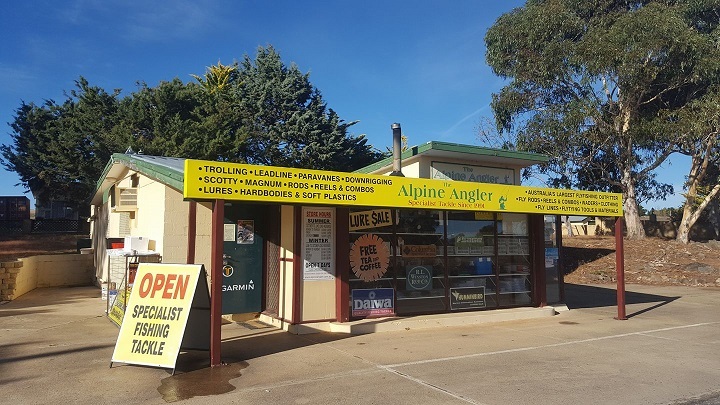 Casting down and across with Streamers,wobblers and hard bodies from the Kosciuszko bridge down to the Jindabyne mouth providing anglers with great sport on the lakes migrating trout. The lower section of the Murrumbidgee above Tantangara has also seen its first real run of fish but similar to Euc ,low river levels require a bit more stealth than the norm for this time of year and proper presentation of flies along the bottom is a must. Tight lines and smooth loops! 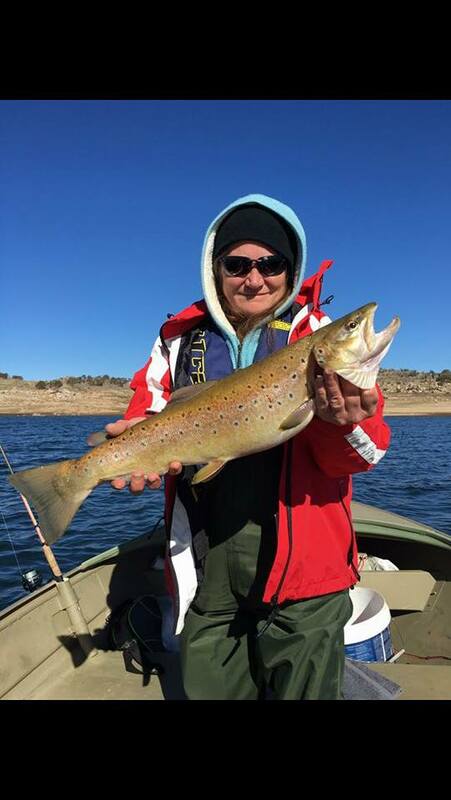 Excellent Angling by Therese Seabrook at Eucumbene saw her bag out with quality trout on hot colour lures for the second day in a row!! !